The last thing anyone needs is to wake up one morning to find that their garage door refuses to budge when they have places to be! Don’t let your busy schedule suffer when you can help prevent this by taking care of repairs now, rather than later. The longer your door is forced to function with damaged parts, the worse the harm will get, so why not let our experts help before that happens? Our technicians are prepared to lend you a hand as soon as possible once you call, including emergency or same day service if necessary. Whichever is the case, we’ll always arrive on time and get straight to work on determining the best solution for the problem. We understand you don’t want to waste your day waiting on us, so we won’t let that happen! We’ll have everything taken care of quickly, without sacrificing quality, so it will be finished before you know it. You can rest assured that we’ll always provide your garage door with the best possible solution for the problem you’re dealing with. We’ve been working in the area for years, which means we’ve seen it all before! Our experts use only the finest parts and tools as well, so you’ll know with certainty that the job was done right and will last. That’s the kind of high-quality work you can count on! The springs are what are able to lift your door, thanks to creating and storing energy! Torsion springs do this by twisting up, while extension springs stretch out instead. Whatever type your door has, we can help if one of them breaks suddenly and leaves your door struggling to move. Attempting to replace it yourself is highly dangerous, as the spring could snap and harm you, or be put in incorrectly and cause the door to function improperly. In any case, it’s fastest and safest to leave it to our experts and let us handle everything easily! There are many reasons you may need a new opener for your garage door, from your current one simply being too old, to wanting to upgrade to something sturdier or quieter. Whichever the case, our experts would be glad to lend you a hand in installing a new one! We can assist you in finding the perfect fit for your home, or if you’ve already purchased one, assemble and install it for you. 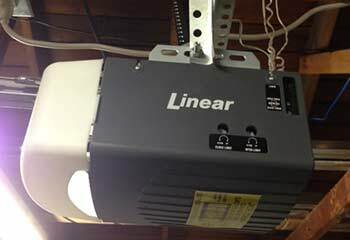 We work with all of the major manufacturers like Linear and Chamberlain, so we’ll be able to take care of whichever type you choose. Has your garage door become rather dreary over the years, or perhaps it was never really that exciting to begin with? It’s time to make a change to help rejuvenate your home and get it looking beautiful! Whether to make a better first impression and wow the neighbors, or assist with upping the curb appeal to sell, a new garage door can make all the difference. We’re familiar with all of the most popular brands from Windsor to Clopay, so whatever may interest you, you can count on us to get it installed professionally in no time at all. 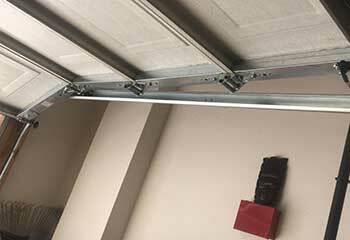 If you notice your garage door seems to be struggling lately with slowing down or dragging in any way, the issue may be that parts have become worn out over time from use. Components of the door such as the tracks or rollers are what help it slide up and down easily, but they can become damaged over time from car bumps or rust. Our professionals will examine them and either repair the parts or replace them entirely if needed. We can also easily repair or replace any panels on the door itself that have become cracked or dented. It’s time to ensure your family is safe and your garage door will be working reliably for years to come with regular maintenance services! One of the most important components of your door are the safety sensors that tell it to reverse if something is beneath it while it closes. We offer thorough testing of these sensors to confirm they’re working perfectly and are correctly aligned to make certain that any pets, kids, or otherwise will be safe near them. A complete system examination will keep your door in good shape by checking for rust, wear and tear, and otherwise! Read all about our most recent projects here below! An off-track door isn’t going anywhere! Literally. Click here to read about our solution to a recent customer’s problem. We took care of replacing this customer’s broken spring for him easily. Find out more here. Our team helped this customer find a new opener for us to install. Learn more about it here. We assisted this customer with their remote control when it stopped working. Discover more here! 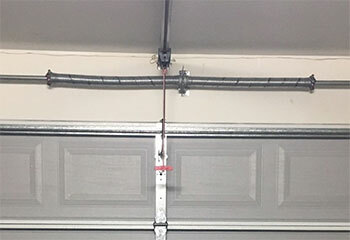 After our garage door cable snapped and the door wouldn't open, the technician you sent out fixed the problem quickly and very professionally. Thanks a lot for great service! 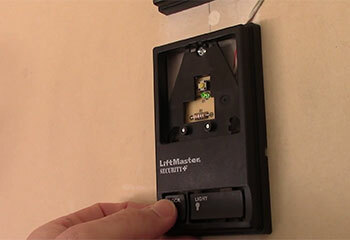 When our garage door keypad stopped working, your company's technician went out of his way to reprogram it. Now the door works perfectly again. We really appreciate his attention to detail! We are very happy with our new garage door from your company. It fits perfectly and looks great! The installers really knew what they were doing. Thanks so much for a super job!